At Reparaciones y Mecanizados Godiz SL we perform the repair and machining of parts of all kinds for companies of a wide variety of sectors. With our machinery we can turn milling, milling through numerical or conventional control, climbing, denting and narrowing axles, trimming and gluing, welding, etc. ... We provide results and solutions in an agile and professional way, always thinking of obtaining the best results for the satisfaction of our customers. At Reparaciones y Mecanizados Godiz SL we have a team of highly qualified professionals in constant training, extensive facilities and a complete park of machinery that allow us to perform all these services both in our facilities and those of our customers on site. We manufacture all kinds of machined parts useful for industrial maintenance and any type of special piece that needs machining in both small and medium series. At Reparaciones y Mecanizados Godiz SL we perform these services both in its facilities and those of its customers in situ. In addition we carry out boiler works with constructions on plane or on sample pieces. In all our machining and manufacturing processes, we apply criteria that guarantee the quality of our services. Minimize the possible environmental impact due to our activities. Continuous work in the field of occupational hazards. Modernization of our technology in production systems. At Reparaciones y Mecanizados Godiz SL from the search for constant evolution, we make a commitment to new technologies. 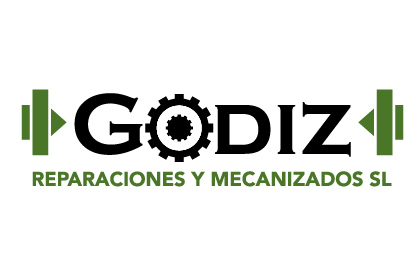 Aware of the importance of the R + D + I for the renovation and the progress of the companies in Godiz we develop robotic mechanization projects for the industry in general. We design and apply solutions that are fully adapted to the needs of each project. We mechanise our robotic units by implementing their control systems to adapt them to the needs of our customers. This automation requires personalized and individual attention for each case, therefore, in Reparaciones y Mecanizados Godiz SL through our department of robotics and automation, we provide the appropriate solutions to your company with a after-sales service that guarantees the quality of our work . At Reparaciones y Mecanizados Godiz SL we develop and collaborate on industrial projects of all kinds, so we need to have tools and solutions that are appropriate for each project. In our company we have own engineering as well as CAD / CAM systems and the most advanced technology in software systems for the programming of machinery. In addition and to complete the entire process Repairs and Machining Godiz has the most demanding regulatory and quality systems and protocols. All this allows us to position ourselves as a benchmark among companies in our sector.